Here are two sites we liked this week, both of which are excellent examples of our favourite less is more approach. http://yearbookyourself.com: An old friend posted pictures from school days on Facebook. As someone who goes through periodic urges to throw away anything not bolted down, I don’t have any school pictures of my own left. So it was certainly a true blast from the past – like the new-old Monster Munch but without the bitter aftertaste of marketing cynicism. 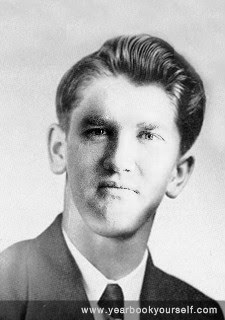 Anyway, yearbookyourself.com is pure fun – load up your picture and it will show how you would have looked in school yearbooks from the 1950s onwards. Or upload a friend’s picture and have a good old hearty laugh at their expense. The results aren’t perfect but it works well and the results are certainly amusing. It’s a well thought out use of Flash and its simplicity is key to creating a fun, engaging user experience. This is another site like LOLcats that is an excellent example of viral marketing – not only spread by people passing the URL around, but also by saving out the pictures and posting them up on photo sharing sites (I found out about it through browsing Dixie’s Facebook photos, an action I’m still mentally recovering from). http://www.99matters.de: This German website films musicians’ responses to the question: What’s important to you? If you’re a fan of any of these acts, it provides an interesting insight into life on the road. If not then I’m sure you will appreciate the clean design and effective implementation of a video-centric site. A good example of the “less is more” principle.